The production facility for SPILLERS® feeds is superb, with strict quality standards underpinning our commitment to produce consistently high quality feeds every time. We are independently audited to BSI ISO 9001:2008 and UFAS quality standards.With more graduate nutritionists than any other horse feed company, our technical and practical expertise is second to none. Our products have been developed using our own research and through liaison with centres of excellence around the world, so you can be sure our feeds reflect the latest in nutritional science. To reduce the risk of behavioural problems it is advisable to reduce the amount of cereal starch in the diet. Both SPILLERS® Horse and Pony Cubes and Cool Mix have controlled levels of cereal starch and good levels of fibre to help reduce the risk of over-excitability. We'll help you keep things calm and controlled. 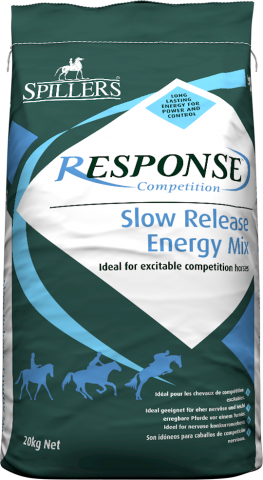 Some horses and ponies can become over excitable and unpredictable when fed feeds containing a high level of cereals. Cereals contain starch which is digested relatively quickly by the horse producing what is known as “quick release energy”. It is this type of energy than can cause some horses or ponies to become fizzy. To reduce the risk of behavioural problems it is advisable to reduce the amount of cereal starch in the diet. 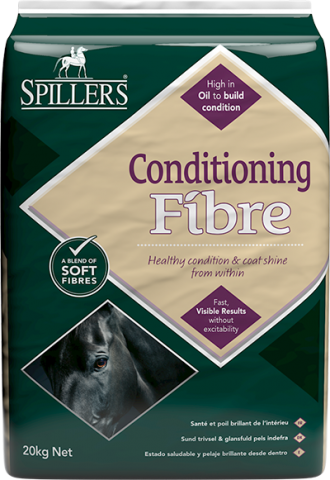 Both SPILLERS® Cool Mix™ and SPILLERS® Horse and Pony Cubes and have controlled levels of cereal starch and good levels of fibre to help reduce the risk of over-excitability. We'll help you keep things calm and controlled. 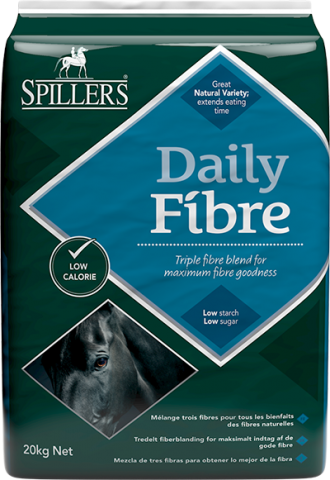 SPILLERS® High Fibre Cubes are a safe, low calorie feed suitable for all horses and ponies with maintenance or low energy requirements. 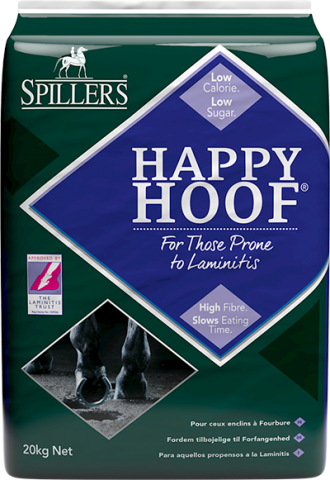 Like SPILLERS HAPPY HOOF®, SPILLERS® High Fibre Cubes are fully approved by The Laminitis Trust as suitable for horses and ponies prone to laminitis. We all know that feeding a balanced diet is important for optimum health and wellbeing. Horses and ponies are individuals, with individual requirements and sometimes do not require the recommended level of compound feed to meet their energy requirements. However, feeding less than the recommended amount of compound can lead to long term deficiencies and an unbalanced diet. This is particularly the case when horses are fed forage or grass alone. 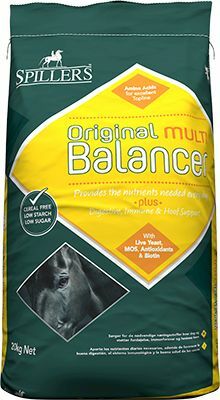 With this in mind we have developed a comprehensive range of whole cereal free balancers to suit your horse or pony's individual needs. The range includes SPILLERS® Original Balancer suitable for all horses and ponies. 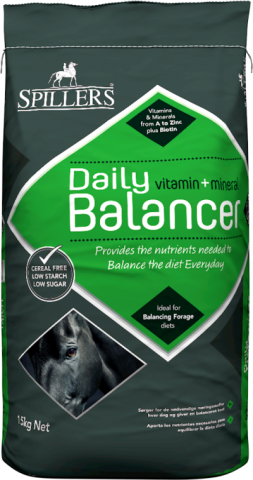 This balancer also offers you the flexibility to feed a variety of horses and ponies across a yard. 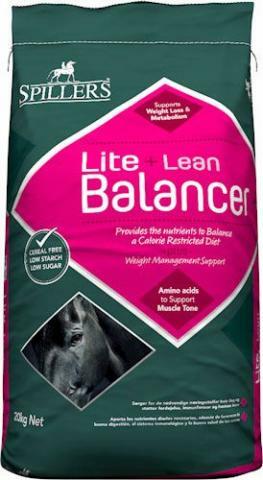 The SPILLERS® Lite Balancer has been formulated for the specialist needs of all 'good doers' and overweight horses and ponies, offering a truly balanced diet without unwanted calories. The SPILLERS® Lite Balancer is also suitable for horses and ponies prone to laminitis. 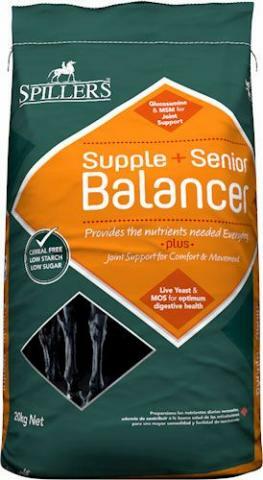 SPILLERS® Senior Balancer offers unrivaled nutrition and joint support for the older horse and pony to help keep them in optimal condition. 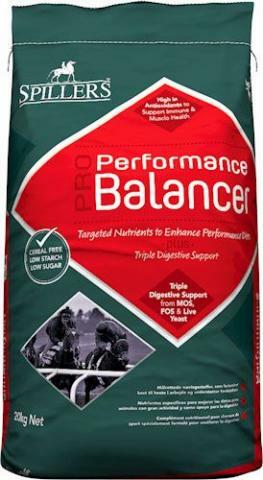 For performance horses SPILLERS® Performance Balancer delivers additional essential vitamins and minerals necessary to support the equine athelete. SPILLERS Gro 'N Win® Stud Balancer meets the increased nutritional needs of foals, youngstock and pregnant or lactating mares. The SPILLERS® Racing Feed range has been formulated using the very best in multi-layered nutritional support with one clear aim in mind, to help you to train more winners. SPILLERS® have over 40 years of experience in racehorse feed manufacture and, as industry leaders, we work closely with organisations such as the BETA and the British Horseracing Authority on key issues such as naturally occurring prohibited substances in feeds. Our formulations incorporate the very latest in scientific thinking from our own funded research, resulting in a range of feeds that are well known and well used by many successful trainers. The production facility for SPILLERS® feeds is second to none, with strict quality standards underpinning our commitment to produce consistently high quality feeds every time. 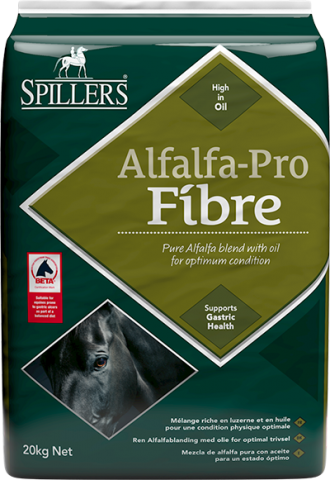 We subscribe to the BETA UFAS NOPS code and we are independently audited to BSI ISO 9001:2008 and UFAS quality standards and all SPILLERS® racing feeds are suitable for horses competing under BHA and FEI rules. For further information on our nutritional requirements please contact our dedicated Thoroughbred Unit Line on 01908 576276 or by email on racing@spillers-feeds.com. Vitamin C and ingredients rich in glutamine are added to support the immune system particularly at times of stress. Stress is significantly increased during weaning which can affect the immune system of the young foal. Vitamin C has been shown to support the immune system and therefore may be beneficial at this time. All feeds contain high levels of Vitamin E which is proven to support the transfer of passive immunity via the mare’s colostrum to the foal. This will help ensure the best possible start by supporting young foals in their early weeks of life. Formulated to support digestive health with live yeast and ingredients to encourage butyrate production which is important in the development and health of the digestive tract. Optimal levels of lysine, methionine and threonine for exceptional muscle and topline development. Research has shown that it is protein quality that is important in driving optimum growth with lysine and threonine identified as being the most important amino acids. High levels of folic acid to support increased requirements during pregnancy, lactation and growth. A high specification of vitamins and minerals including chelated trace elements are incorporated to support overall well being and fertility. We provide the full Spillers range in Ireland. What ever your Spillers requirements are we can meet it for you. we have made both forms available. Low starch cubes formulated for excitable competition horses. Contains highly digestible fibre and oil with a low starch level to provide sustainable power. Provides high quality protein suited to the demands of a competition horse. Includes a high specification micronutrient pack; including chelated minerals and antioxidant vitamins to support athletic performance. Fibre is fundamental to the health of every horse and pony, their digestive system has evolved over thousands of years to digest it and a lack of it in the diet can contribute to many of the health issues that we see today. SPILLERS range of chopped fibres are unique in that they can be used to complement traditional compounds feeds, to provide the whole bucket feed or in the case of SPILLERS HAPPY HOOF be used to completely replace hay.